​Liverpool manager Jurgen Klopp insists that his side need to be in a 'fighting mood' against Chelsea if they're to maintain their Premier League title challenge. The current league leaders may find themselves in second place by the time they kick off at Anfield, as Manchester City will go top with a win over Crystal Palace earlier in the day. 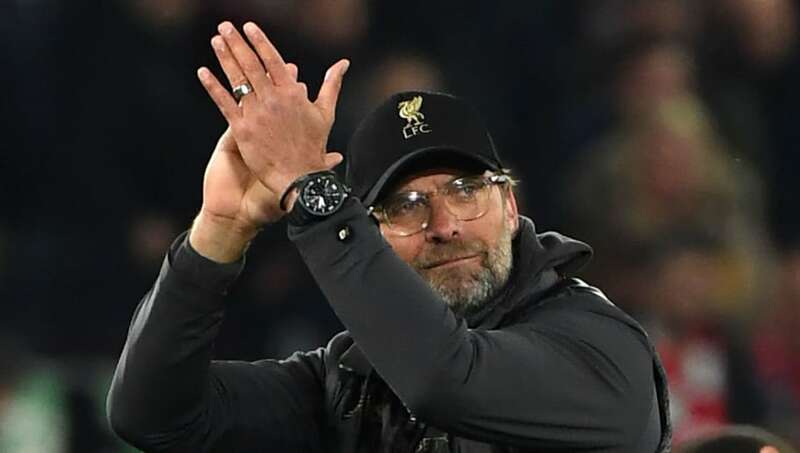 A win for the Reds, however, would see them return to the summit of the ​Premier League should ​City win at Selhurst Park, and after securing victories in their last three league games in the 80th minute or later, Klopp has called for a similar resilience once again. As quoted by ​The Mirror, he said: "It is the last part of the season and use all your body, each fibre. That is what we do. "The opponent is so strong and in a good moment. I want us all in a real fighting mood, all at Anfield and whoever is in front of the television, in a proper aggressive, fighting mood. Go for whatever we can go for." Klopp has descried the title run-in as the equivalent of being 'in the last 100m of a race', although Maurizio Sarri's side will provide a significant hurdle for the Reds to overcome. ​Liverpool have won just one of their last seven home league games against ​Chelsea - who will be looking for a win to aid their hopes of a top four finish - and Klopp talked up the importance of making a strong start. He added: "Chelsea is in a good moment, so from the first second of the game we have to be a completely different opponent to all the others they have faced in recent weeks. "When you analyse the West Ham and the Slavia Prague games were completely different line up wise. They made a lot of changes and were still on their toes, and will make them probably again. "So it is not too important who plays, it is more important how WE are. How can we bring real problems to them because you don’t see that when you analyse them."